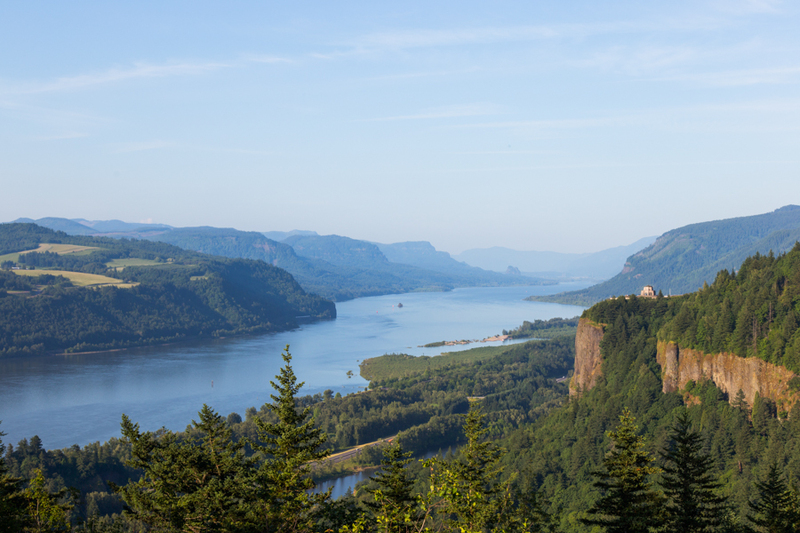 It is really amazing to see a river flowing right through a mountain range, and that is exactly what the Columbia River does in the Columbia River Gorge. The Cascade Mountains run from Canada, then south through Washington and into Oregon. The roughly 90 mile long canyon cuts east to west right through the Cascade Mountains, forming the border between Washington and Oregon, and in some places is 4,000 feet deep. How does a river cut through a mountain range? The answer is that the Columbia River was here first. Starting about 17 million years ago, there was a general uplift in the earth's crust that created the Cascade Mountains. 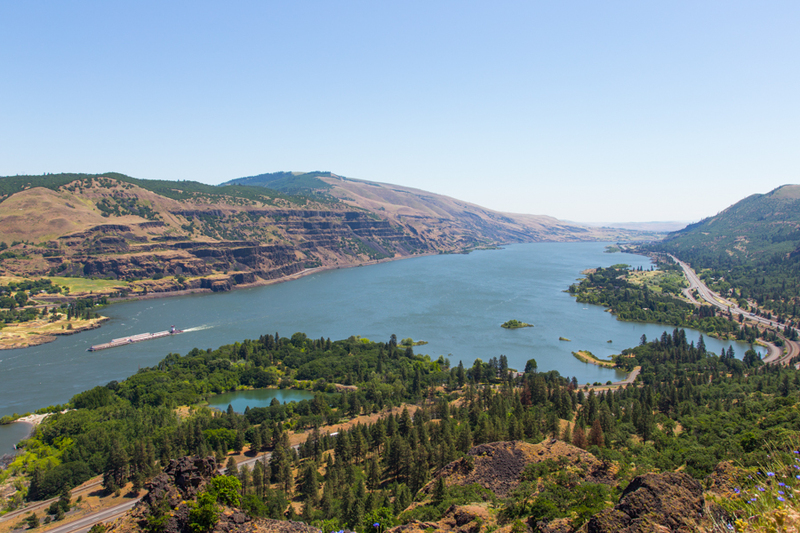 This uplift continued for about 15 million years, and it was slow enough so that the Columbia River could keep eroding away the mountains without becoming blocked. Unlike the other six wonders of Washington State, the best place to see this one is actually not in Washington State, but from Oregon. It's the Vista House, which was built atop a bluff 700 feet above the Columbia River in 1918 as a rest stop for travelers on the original Columbia River Highway. It is a good place to go if you want to be awe struck. Far below, you can see how Interstate 84 follows the Oregon side of the Columbia River Gorge and State Highway 14 follows the Washington side. There are numerous viewpoints along each highway and several parks. In some places the columnar basalt cliffs rise over 1,000 feet above the river. The Columbia River Gorge is the deepest near Stevenson. 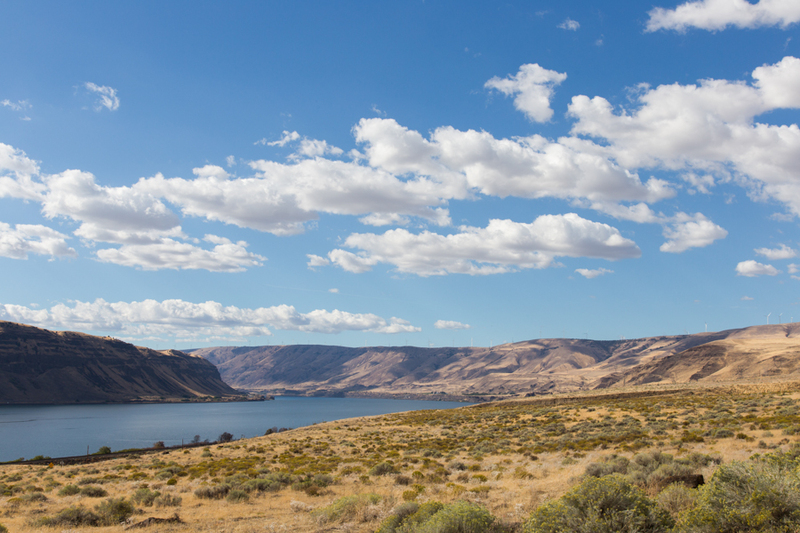 As you travel east along the Columbia River the cliffs decrease in height and eventually disappear by the time you reach the town of Boardman. 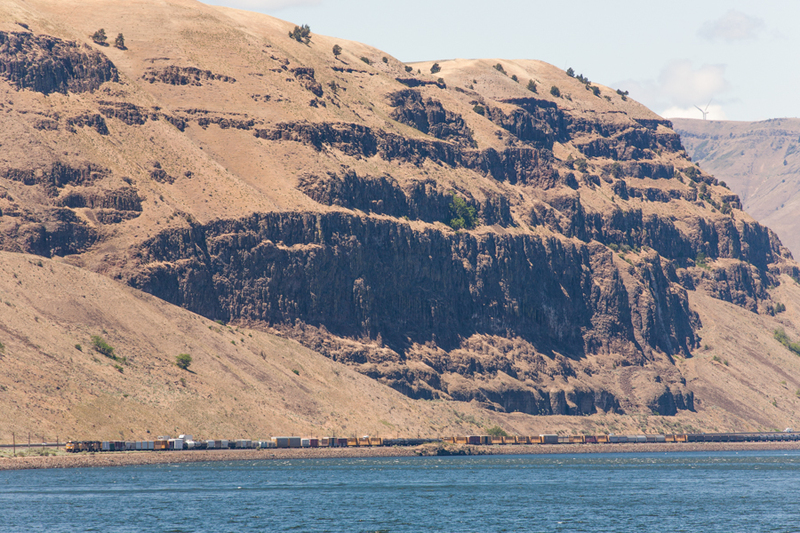 The climate and vegetation along the Columbia River go through a dramatic transformation as you travel from west to east. Near the Bridge of the Gods at the gorge's west end is a temperate rain forest that can get over 110 inches of rain annually. As you travel east, the climate gets drier and drier until it becomes semi-desert near Arlington, receiving less than 10 inches of rain per year. When weather systems from the Pacific Ocean meet the Cascade Mountains, the air rises and cools, and copious amounts of precipitation are released as rain and snow. This leaves little precipitation for the scrublands east of the Cascades, causing a rain shadow. Possibly nowhere else in the world can this rain shadow effect be seen so dramatically. The photographs and information about the Columbia River Gorge shown here are just a sample from the book, The Seven Wonders of Washington State, which is available for purchase via the Buy Now link at the bottom of the page. ﻿﻿You can see additional photographs of the Columbia River Gorge at﻿ WashingtonPhotographs.com.